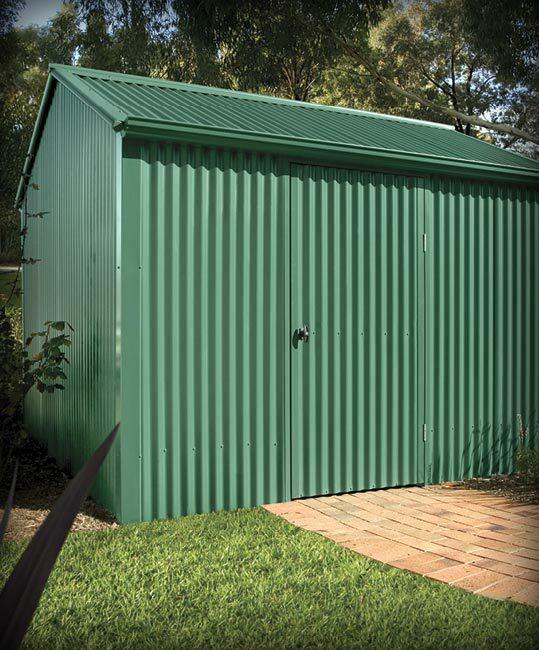 More than just a practical storage shed, the classic styling of Handi-Heritage sheds exude charm and character. 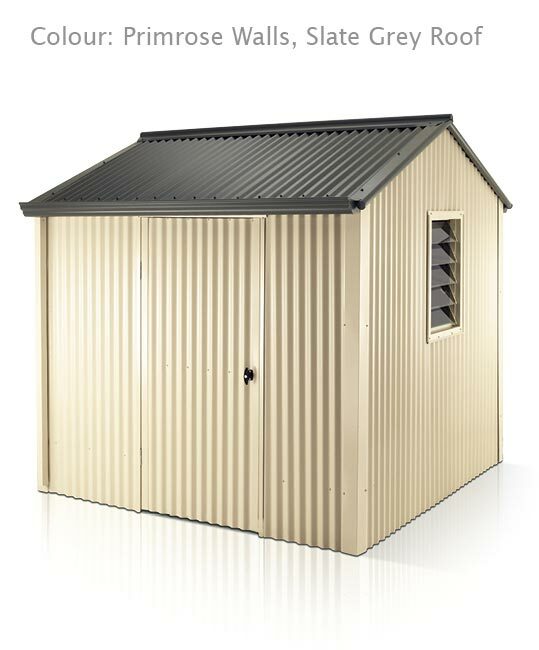 Made from quality components, combined with strength and functionality, Handi-Heritage garden sheds are a lasting investment. 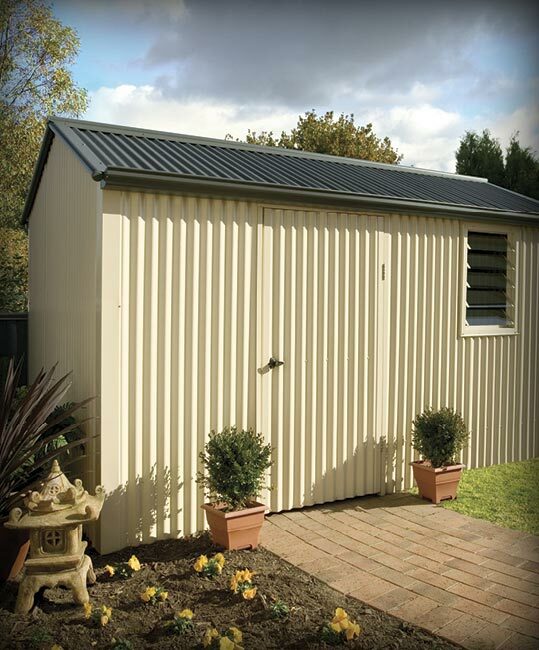 Handi-Heritage sheds have the style to make them a feature of any garden setting. 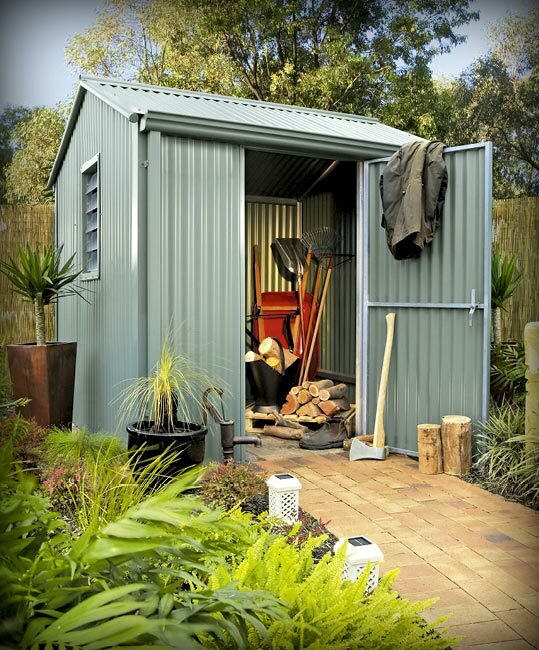 Form meets function in the Handi-Heritage garden shed. The 22.5 degree pitched roof not only adds to its traditional charisma, it is also extremely practical. 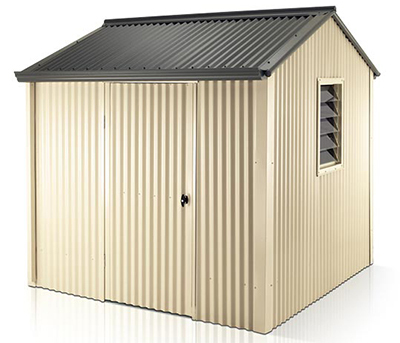 It combines extra head and storage room with the self-cleaning abilities of a gable roof. Handi-Heritage storage sheds feature corrugated steel roof and wall sheeting for a classic appearance. Available in a wide range of colours, there is also the option for a different roof and wall colour. The framework is simple to install thanks to the knuckles that are used to join the components. 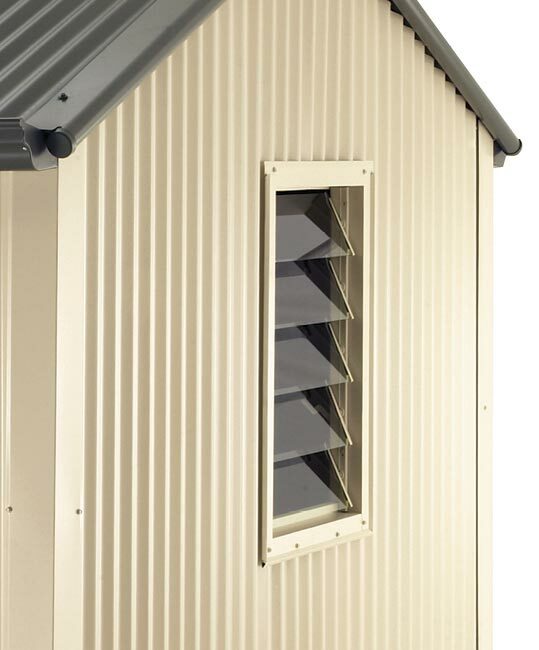 The corrugated walls feature pre-cut gable end wall sheets for easy installation. 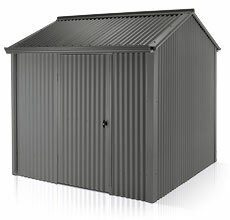 Handi-Heritage sheds are easy to install yourself or Stratco can arrange a qualified installer to do the job for you. 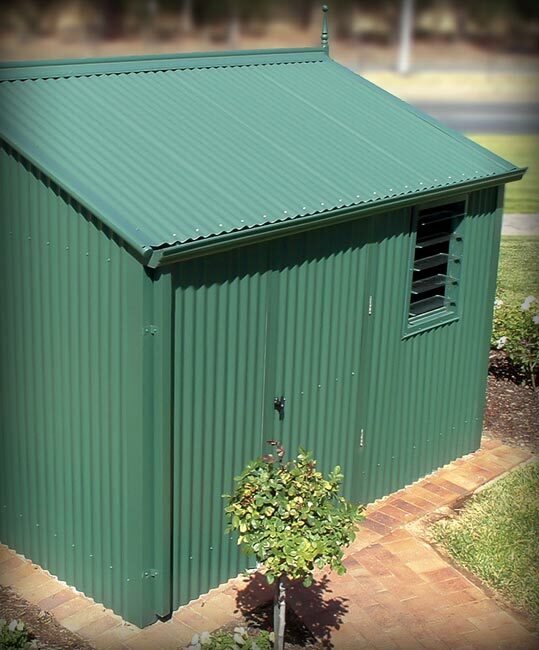 Handi-Heritage storage sheds have a large range of optional extras such as louvre windows with the choice of either a colour or zinc/al frame, gutters and downpipes, gable spires, skylight roof sheets, masonry anchors, and footing brackets to attach the garden shed to concrete. Traditional style with charm and character. Gable roof for looks and practicality. Corrugated roof and walls for a classic appearance. Wide range of attractive colours available. 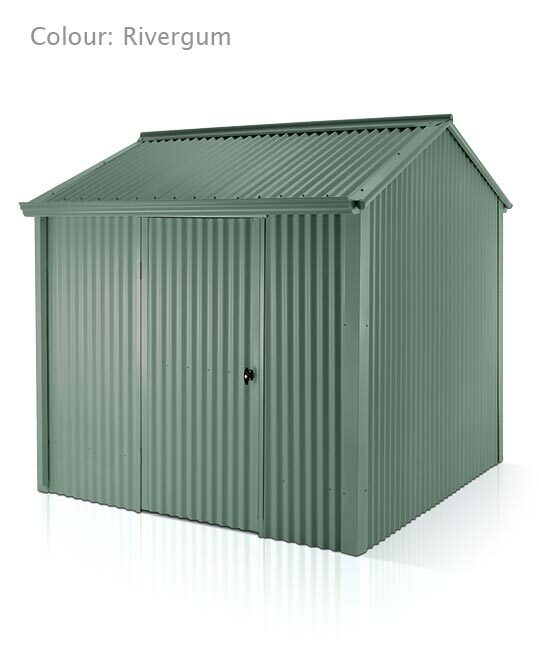 Strong galvanised steel frame ensures a long life. Galvanised knuckles to make the frame easy to install. Key locking door handle for security. Large range of extras available. Nominal sizes are shown. Width and depth are measured to outside of roof. 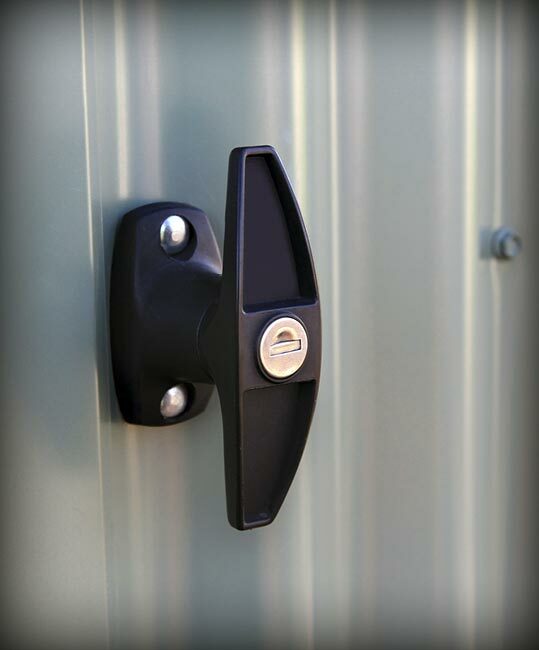 A personal access door is included (not assembled) including a locking handle. 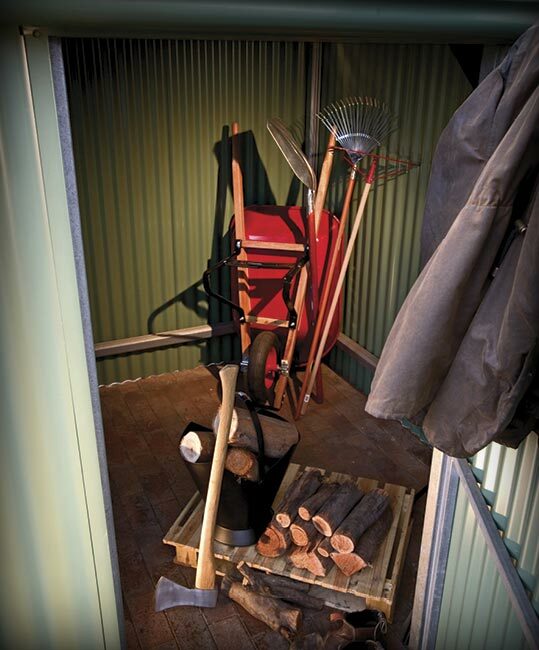 Dress your Handi-Heritage storage shed with a range of extras to add a personal touch. Louvre windows. Choose from either a colour or zinc/al frame. Footing brackets to attach the storage shed to concrete.